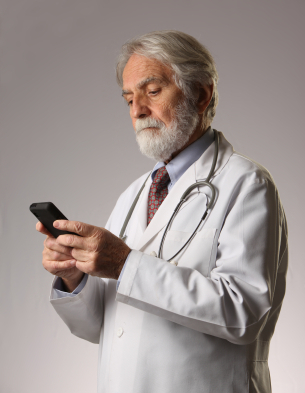 The study suggests medical professionals – who use their phones to get lab results and coordinate care - could actually be doing more harm than good. The research report is accessible here. Medical researcher Dr Foong Yi Chao says that though the technology has fundamentally changed how hospitals operate, they have a downside. “Three quarters of phones that we saw actually grew bacteria, out of those a small but significant [percentage], 5 per cent actually, grew pathogenic bacteria that can cause infections. Even the mildest of these bacteria can cause gut and blood infections in patients with already compromised immune systems,” Dr Chao said. “Hospital acquired infections are a problem in all hospitals,” says Tim Greenaway, president of the Australian Medical Association (AMA), stressing that it is a widespread issue. Dr Chao says there are strict protocols for sterilising hospital equipment, clothing and the hands of staff, but smart phones are generally not included. He said very few staff sterilise their phones, and there are no known protocols for phone cleaning anywhere in the world. The AMA said that the research should alarm medical practitioners and prompt them to disinfect not only their hands, equipment and clothing, but their smart phones too.